New York (TADIAS) – A new comedy-drama by Meaza Worku Berehanu, an emerging Ethiopian playwright from Addis Ababa, offers a witty, sophisticated, and paradoxical story about relationships, love, and marriage, from the heart of the gender struggles in contemporary Addis Ababa. In Meaza’s play entitled Desperate to Fight the main character is a single woman named Martha who has been divorced three times, and now she contemplates if she should tie the knot for the fourth time. Tormented by the sounds of a newly and seemingly happily-wedded couple living next door, Martha wrestles with her past and the memories of her former husbands. Sundance Institute East Africa is hosting a reading of Desperate to Fight on Wednesday, March 14 at Baryshnikov Art Center in Manhattan. The program supports the work of stage-artists in East Africa by creating exchange and exposure opportunities between U.S. and East African writers, directors, and performers. Meaza ‘s invitation to NYC is a continuation of the Institute’s Eastern Africa region Theatre lab. 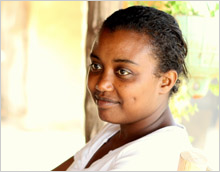 Her play was among four that were selected after a competition for playwrights in six East African countries, including Ethiopia, Kenya, Tanzania, Uganda, and Rwanda . Desperate to Fight has also been selected for the International Women Play-writers Conference that will be held in Stockholm, Sweden this coming August . “I am very honored and pleased to have all these opportunities, to meet people like you and share,” Meaza said. RSVP at theatre@sundance.org with your full name by Monday, March 12. 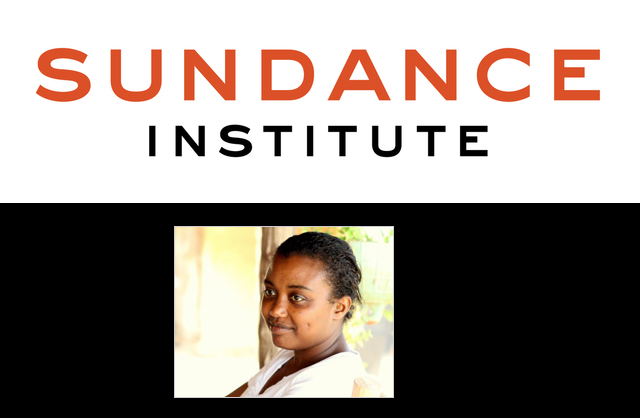 For more information about Sundance Institute East Africa, visit www.sundance.org.